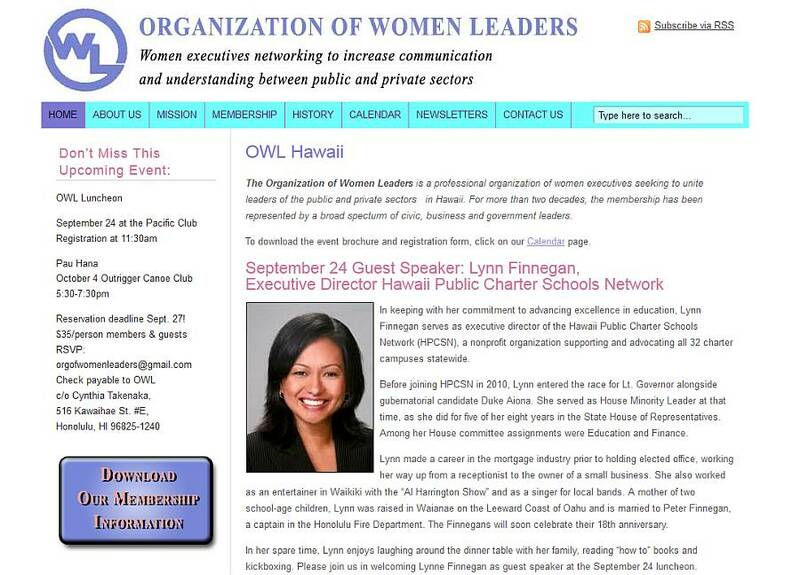 An attractive and easy-to-update website was needed for the Organization of Women Leaders, a non-profit in Hawaii. Using blog posts for the website Calendar kept the site very easy to update by volunteers. Members can easily subscribe via RSS to get updates, with no overhead cost to the organization for maintaining a subscription newsletter service. Easy to update, simple and informative – perfect for a small non-profit.